Voice Loop is an A-B repeat type voice recorder that allows you to record unlimited audio tracks and loop them together. 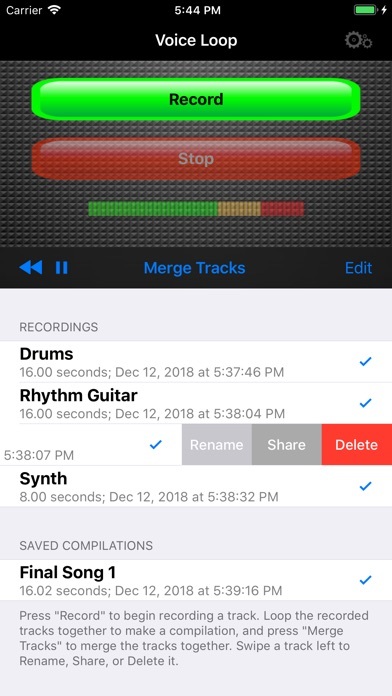 Record tracks with a given tempo and number of measures to sync the loops perfectly, or just record tracks with any length. 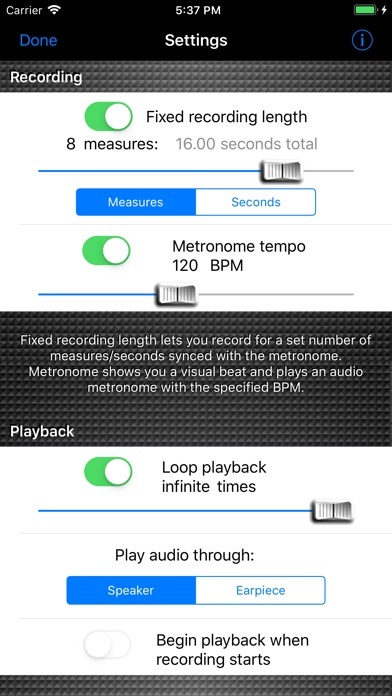 A visual and auditory metronome helps sync tracks. Play multiple tracks at a time, all at once, or one at a time by simply tapping on the recorded file or clicking play to play all tracks. 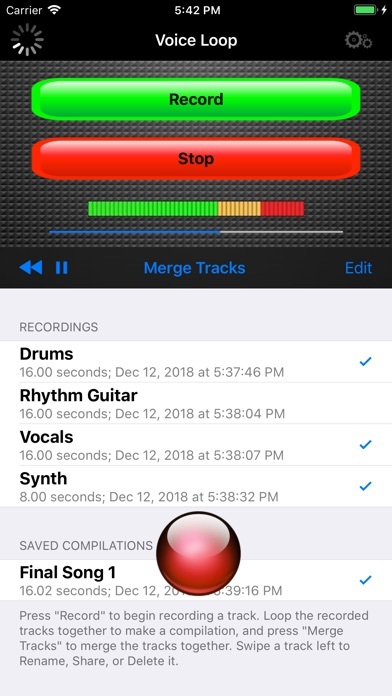 Voice Loop gives you controls to easily navigate through the recorded files, delete any tracks, or record new tracks while playing previously recorded tracks. 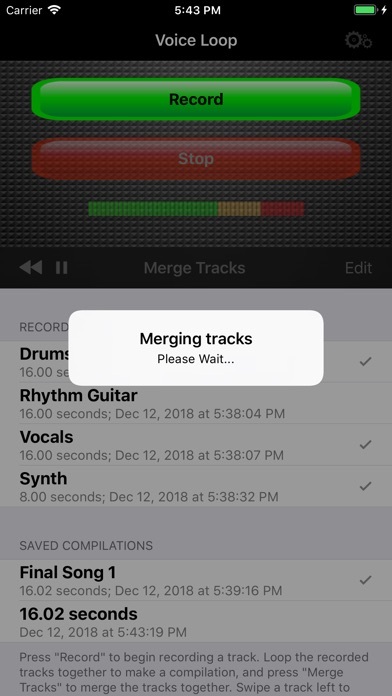 Click 'Merge Tracks' to compile the recorded tracks into one file. All tracks and compilations will save to your phone until you delete them, and you can email tracks from the app.